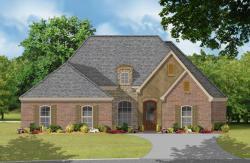 All of our House Plans are FHA and Rural Development Certified. We are happy to provide you with FHA and Rural Development certification at no additional charge. Rick Garner is a Certified Professional Building Designer (CPBD) and a residential builder/developer which means our home plans and multifamily plans are designed from a builder's perspective. Rick's professional experience in all areas of the building industry make our floor plans easy to use when building your home. We offer QUALITY and EXPERIENCE for all of your residential design needs. Rick and his design team are here to assist you through your entire home design process or multifamily plan project. 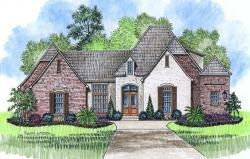 We are here to listen and provide you with ideas that will best serve your house plan or multifamily design needs. For our home design clients, we make it easy to create a unique floor plan you will love to build and to call your home! 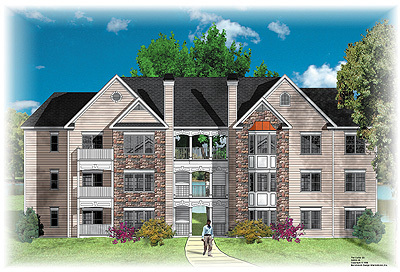 For our multifamily development clients, we help you create the best floor plan for your prospective residents! Rick Garner is Professional Member of the AIBD, NAHB & NCBDC.